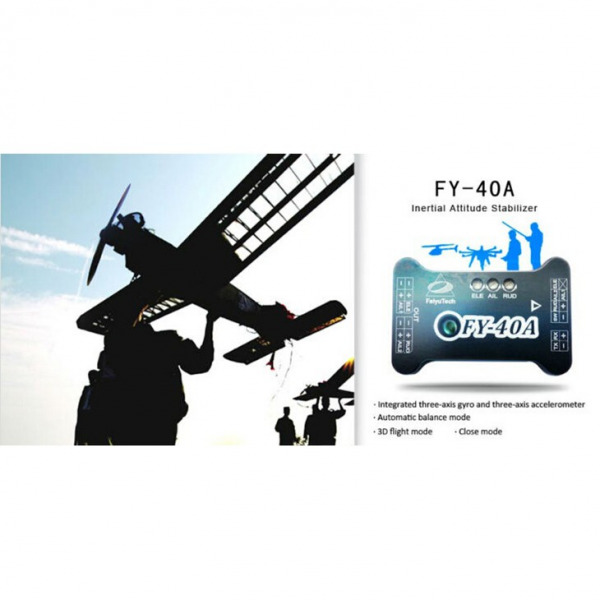 FY-40A flight balancing instrument is lighter, more cost-effective, and the price is very attractive. 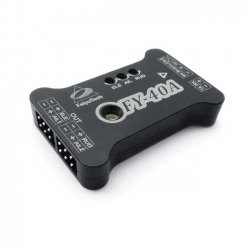 Mode 1: FY-40A Deactivated Mode ——In this mode, the FY-40A stabilization function is turned off. The aircraft is completely under the control of the pilot. 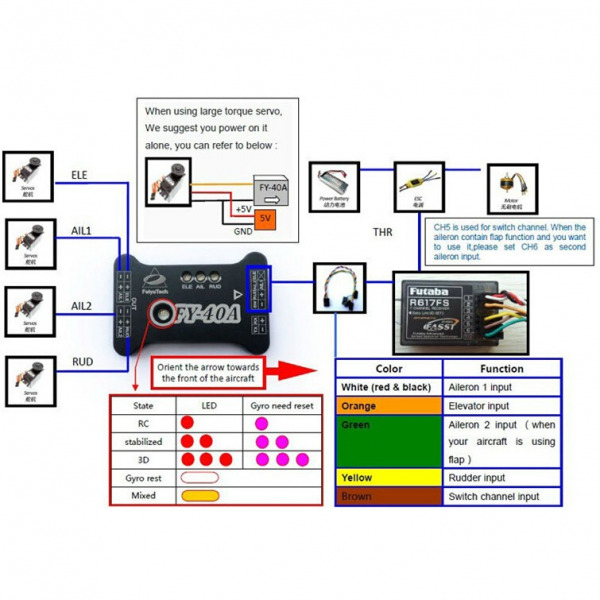 Mode 2: 3D Control Mode —— In this mode, the balancer utilizes its 3-axis gyroscope to sense roll velocity and flight attitude. If no input is given by the pilot (sticks in the middle position) the FY-40A will lock the current aircraft attitude. This prevents rolling of the aircraft at the axial plane and maintains its current posture. Therefore the aircraft can be easily maneuvered to complete a variety of 3D flight with added stability and smoothness. Mode 3: Auto Stabilization Mode ——In this mode, the FY-40A will automatically command the aircraft control surfaces to maintain level flight at all times. 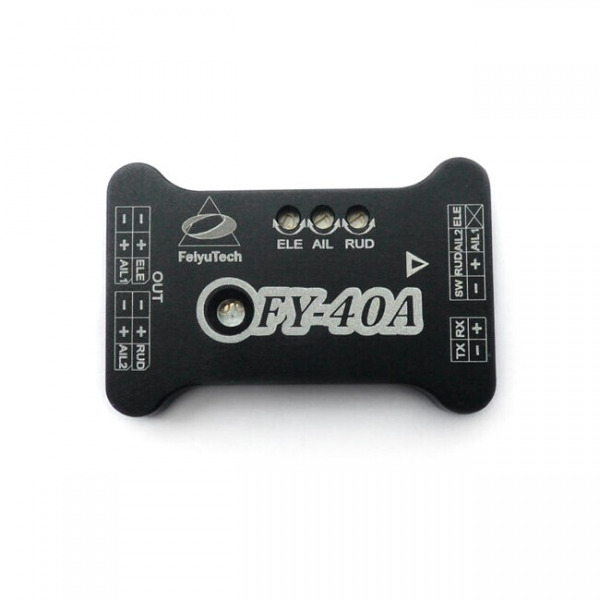 FY-40A flight balancing instrument is lighter, more cost-effective, and the price is very attractive.It's for beginners to master and enjoy the flight.